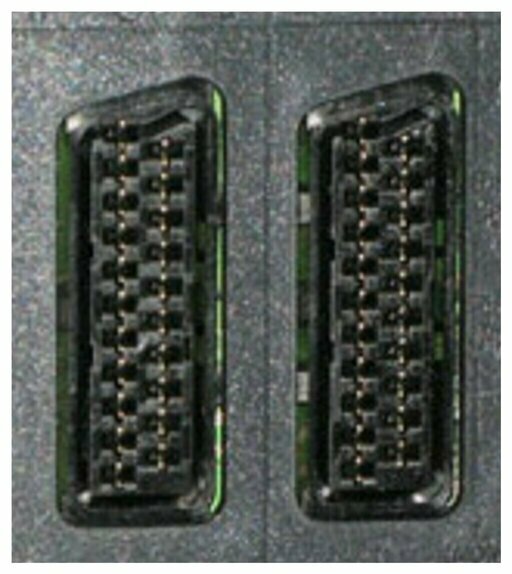 SCART denotes a coupling device and a connector audio and video consumer mainly used in Europe. It allows a simplified connection of devices that operate audio and video analog using a 21-pin connector. There are three types of connectors: the socket on devices, male/male cord and the extension cord. We meet more often than the SCART connectors on equipment marketed in Europe. 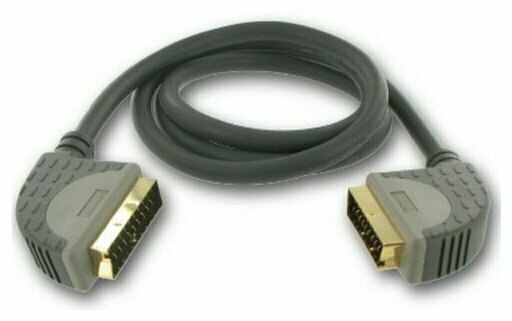 Mandatory on televisions since 1980, SCART is no longer since late 2014. - 0 v means \no signal\, or internal signal (example: current operation of the TV). - + 12 v means: selection of the auxiliary audio/video input and 4/3 format. - 1 v to 3 V (nominal 1 V peak) RGB only. It can be used to embed the RGB signal within another video signal: Teletext and subtitling. Video bandwidth admitted on fast switching amounts to 6 MHz. The use of this Jack has interest for the screens that can be satisfied with a low definition (approximately 800 × 600). For more high-definition screens, it is useful to connect all products without a HDMI (for example an analog VCR, VHS type). Beyond three meters, an extension cord can effectively convey low and multiple analog signals it operates without that disturbances arise. Without specific treatment (video amplifier, audio filter) so non-compliance of the original standard, the longer bonds are inadvisable.